Since the summer they have published a number of interviews with youth workers, the latest of which, Slipping into Youth Work, is refreshing in its honesty. On asked if he was being romantic about his relationships with young people. All of which is likely to throw those, desiring to turn youth work into an instrument of the prescribed and predictable, into a paroxysm of despair. How can anyone be so naive? Indeed we are told by a spokesperson of a new generation of social pragmatists, ‘modern professionals, that history has come to a close. Evidently we must recognise that there is no prospect ever of public support or political backing for ‘progressive’ youth work. Evidently we must embrace new political ideas rather than shying away from them. Meanwhile , whilst we await the ever promised dawn of what is considered to be ‘new’, we will continue defending and reflecting upon a tradition of informal, creative and democratic education, still unfulfilled, yet inspiring, that stretches back to Socrates and urges us to act now with the future in mind. History is never settled, ever contested. 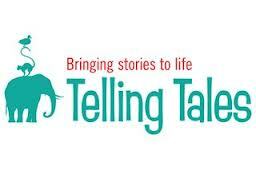 Let’s tell tales outside of school with all their contradictions, tensions and uncertainty. Previous Unravelling the Content and Process of Youth Work : A Second Stories Book? Next Betraying Today’s Teenagers : Who is to Blame?